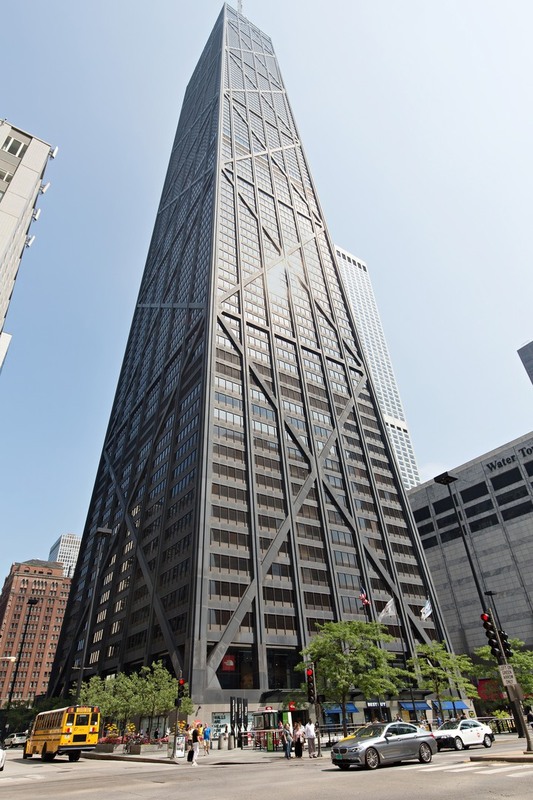 Live in Chicago's iconic private residences of the John Hancock building! Marvelous panoramic views of the Lake, Navy Pier and city skyline in this South-East corner renovated home. Open floor plan with wonderful entertainment space! New kitchen, quartz counters, stainless steel appliances. Wood floors through out! Generous master suite with spa-like bath and walk in closet. Renovated 2nd bath. French doors open into large second bedroom. Third bedroom also acts as a family room and can be closed off for a fully enclosed room. Enjoy this full amenity building new state of the art fitness center, indoor pool, grocery store, tailor/dry cleaner. Property information last modified by seller on Wednesday, August 08, 2018, 12:05 AM CDT. Information Deemed Reliable But Not Guaranteed. Unauthorized duplication, use, or linkage is prohibited. The information on this web site is for personal, non-commercial use and may not be used for any purpose other than to identify prospective properties consumers may be interested in purchasing. Monthly Payment Calculator results are for illustrative purposes only, not a financing opportunity; calculations assume a 30-year fixed-rate mortgage and do not include closing and other costs. Property Tax on NEW properties is estimated at 1.5% of Listing Price for payment calculation purposes; actual value may be higher or lower.